In a shocking case, a father of a mentally challenged boy committed suicide in his house in Chennai's Kilambakkam area after poisoning his son. The mentally challenged boy has been identified as Sreedhar Vinod, who is 16-year-old. According to Times of India (ToI), Perumal, the father of the boy is a cab driver, who due to financial crises found it difficult to take care of his son. When the incident happened, the mother Latha, had gone to buy groceries. On returning, she found Sreedhar lying on the floor fizzing at the mouth. To which she screamed and alerted the neighbours for help. As they reached and search for the husband, to their shock he was found hanging from the ceiling in another room. However, the boy was rescued by the neighbours who took him to the nearby hospital in Chengalpet. Soon after which he was referred to the Rajiv Gandhi Government General Hospital for treatment. When police inquired about the incident, Latha informed the that her husband would complain about Sreedhar quite often. Currently, the body of Perumal has been sent to a hospital in Chengalpet for an autopsy, while the child is kept under observation. ஆன்லைனில் விஷம் வாங்கி சாப்பாட்டில் வைத்து மனைவியை கொலை செய்த பேராசிரியர்.. பரபரப்பு சம்பவம்! This page contains news relating to various facts and events. The views are generally about current affiars and general topics in diversified areas such as political, international, national, and regional issues, sports, health, travel, lifestyle, technology and business. People having similar interets on the above topics will find this page useful. 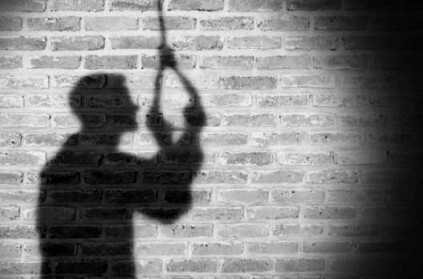 Unable to take care, father poisons mentally challenged son and hangs | Tamil Nadu News.